Grundy Electric Cooperative's story began with a vision to bring electricity to rural homes and farms. Perhaps one of the boldest accomplishments in the 1930's was rural electrification. Your Cooperative's work is as vital today as it was in 1938 when electricity was first brought to the rural area. Leadership is now needed in making certain that the interest of the rural area in the technological world and changing energy environment are not only protected, but also brought the same value and affordability that the high-density metro areas are given. Grundy Electric Cooperative is committed to providing our members with competitively priced, quality electric service. 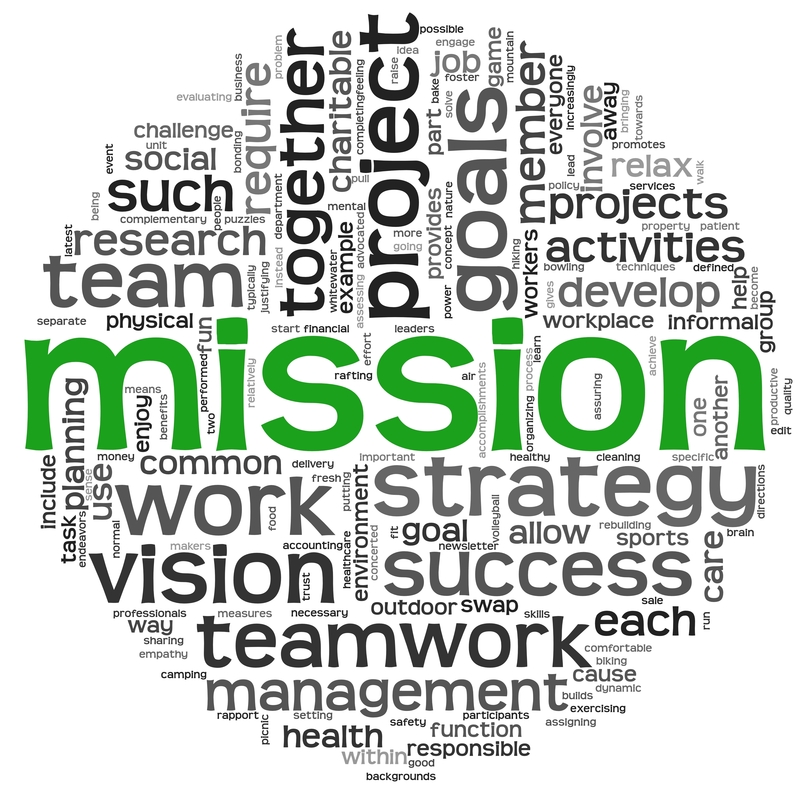 Through a highly-trained, efficient staff, the Cooperative strives to improve the quality of life for all members by participating in economic and community development activities, as well as other services and programs to achieve this goal. The territory Grundy Electric Cooperative serves includes Harrison, Mercer and Grundy County and portions of six other Missouri counties: Linn, Livingston, Sullivan, Gentry, Daviess and Putnam and portions of three Iowa counties: Wayne, Ringgold and Decatur. Our main business office is located at 4100 Oklahoma Avenue in Trenton, Missouri. We also have a satellite office located at 702 W. Main in Princeton, Missouri. Three warehouses assist in providing quality service. These warehouses are located at our main office in Trenton, Bethany and Princeton, Missouri. Grundy Electric Cooperative members receive a monthly publication, the Rural Missouri. This member magazine is published by our statewide organization the Association of Missouri Electric Cooperatives. Your Cooperative's local information can be found in the centerfold of the publication. Grundy Electric's Official Annual Meeting Notification is also included each year within the center of this magazine as stipulated by our bylaws. Click on the link below to view a digital copy of the publication (note local cooperative news is not shown within this digital copy). Grundy Electric was incorporated on October 22, 1938, with the original incorporates being: Vergil Robertson, Clem Cleeton, Roy Fox, Dr. C.H. Cullers, J.M. Webster, Everett Dixon, Roger Williams, George Drury, John Moore, William Howard, Clyde Brown, and Frank Lynch. If you wish to learn more about our history, click on the history tab. Grundy Electric crews began construction of the first electric lines in January 1940. By December that same year, the Cooperative had built 325 miles of line and served 498 member-owners. The first Cooperative headquarters was located at the "Five Points" intersection, 1004 Main Street in Trenton, Missouri. In 1950, the Cooperative moved its facility to 201 W. 8th Street. The Cooperative continued to construct line and acquire new members in the rural area. In June 1942, Grundy Electric purchased a Lineville, Iowa, generating plant and a transmission line from the Iowa Utilities Company. This purchase allowed Grundy to serve member-owners in Lineville and Clio, Iowa and Mercer, Missouri and in the surrounding area. In April 1949, Grundy Electric Cooperative became a member of NW Electric Power Cooperative, Inc., for the purpose of purchasing wholesale power. This allowed Grundy to offer more economical power to its members, while allowing for load growth. In April 1963, Grundy Electric received a loan from the REA to acquire a portion of a line from the Consumers Public Service Company. The Cooperative expanded once again in 1977 by adding the entire City of Princeton to its service area. Grundy's neighbor-helping-neighbor business employs individuals who are a vital part of the Cooperative and community. You will find the employees of Grundy Electric to be committed citizens of their communities. Their participation, involvement, and service in a variety of areas include school boards, fair boards, United Way, rural fire departments, 4-H, and members of Chamber of Commerce, Rotary, Kiwanis, Scouts and churches, just to name a few. The Cooperative also feels a strong commitment to community. In 1997, Grundy Electric utilized the USDA Rural Development Revolving Loan Fund program in assisting North Central Missouri College with construction of the Ketcham Community Center. Revolving loan funds are available for rural development, deferments for economic development, water and waste-water loans/grants. In 2006, loan funds were also awarded to North Missouri Logistics, LLC to construct a warehouse facility in Trenton. In 2009, Grundy again utilized the USDA loan fund program to assist NCMC with construction of the Allied Health building and Barton Campus. Grundy's national organization located in Arlington, Virginia, the National Rural Electric Cooperative Association (NRECA) represents the nations' 1,000 non-profit, consumer-owned rural electric systems. NRECA provides the Cooperative with training, research, assistance with legislative issues, and a variety of resources. As a distribution cooperative, Grundy Electric is part of a three tier-system. The first tier includes the 51 distribution cooperatives in Missouri, southern Iowa and northeast Oklahoma. Grundy provides electric service directly to member-owners, including businesses, farms, and households. Generation and transmission cooperatives (G&Ts) are the second level of the system. NW Electric Power Cooperative, Inc., located in Cameron, Missouri, serves as the G&T for Grundy Electric and six other cooperatives in this area. NW Electric works on a regional level as construction agents and also owns and maintains all electrical systems above 69-kilovolts. Associated Electric Cooperative, Inc., located in Springfield, Missouri, forms the third tier. Associated is responsible for generation of electricity and power procurement. The entire three-tier system benefits from the economy of scale; and since each tier can react quickly to change, the overall competitiveness of the system is improved. 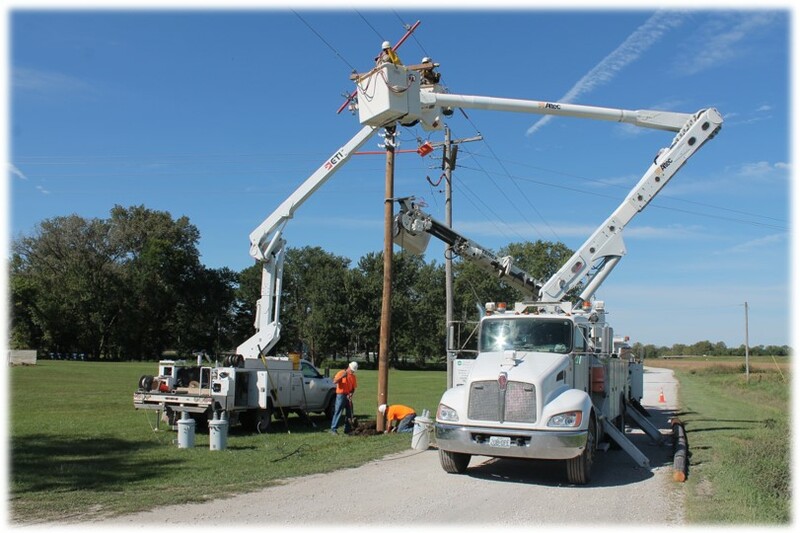 Today, Grundy Electric serves members throughout 12 counties including Grundy, Harrison, Mercer and portions of Linn, Livingston, Daviess, Gentry, Putnam and Sullivan in Missouri and Wayne, Ringgold and Decatur counties in Iowa. The Cooperative serves 6,720 meters. Grundy Electric has over 2,100 miles of overhead distribution line and over 85 miles of underground line. The current headquarters building was constructed in 1975 and is located at 4100 Oklahoma Avenue in Trenton. Grundy Electric Cooperative is currently governed by an eight-member board of directors. Local control, local ownership and local involvement are the cornerstones to the Cooperative structure. In 1998, Grundy Electric became a Touchstone Energy Cooperative. Touchstone Energy represents a national brand among the nation's cooperatives. Overall, the Touchstone Energy brand's goal is to build and communicate the value of the Cooperative to the community and to members, while establishing ties to our communities as expressed in integrity, accountability, and innovation. Grundy Electric Cooperative entered into a partnership with the Public Water Supply District #1 of Grundy County in 1998 and the Public Water Supply District #4 of Livingston County in May 2005. The billing service contracts were agreed upon in an effort to provide convenience and excellent customer service to their customers, while fulfilling the overall goals and objectives of the water districts. In 2004, Grundy Electric established the GEC Community Foundation, Inc. The Foundation is governed by an eight-member board of trustees representing the cooperative's service territory. The Foundation assists qualifying schools and organizations with grant monies in the areas of education, health and rural development. The funds are open to eligible entities within Grundy Electric Cooperative's 12-county service area. The Foundation, which is operated on a volunteer basis, is primarily funded through Grundy Electric Cooperative's Operation Round-Up Program. This program allows GEC members to voluntarily "round up" their electric utility bill to the next even dollar. For an average of $6.00 per year, participating members assist in funding local community projects at schools, healthcare organizations and in the communities in which they live and work. Customers of the Public Water Supply District # 1 of Grundy County may also "round up" their water bills. The PWSD Round-Up funds are disbursed solely to projects located in Grundy County. Grundy Electric Cooperative established two new companies during 1999; Mid-States Services, LLC and Mid-West Propane and Refined Fuels, LLC. Mid-States Services, LLC is a multi-service company that offers Maytag and Whirlpool appliance sales and service, and broadband internet service to business and residential customers. Mid-West Propane & Refined Fuels, LLC was also established in 1999 providing propane, gasoline, and diesel to farms, homes and businesses. Mid-West Propane and Refined Fuels, LLC was sold in 2011. The heritage of the Cooperative is that of leadership and cooperation. The Cooperative's work is as vital today as it was in 1938 when electricity was first brought to the rural area. This leadership is now needed in making certain that the interest of the rural area in the technological world and changing energy environment are not only protected but also brought the same value and affordability that the high-density metro areas are given. BYLAWS of GRUNDY ELECTRIC COOPERATIVE, INC.
(d) Paid the membership fee hereinafter specified. No member may hold more than one membership in the Cooperative, and no membership in the Cooperative shall be transfer able, except as provided in these bylaws. (a) The presence at a meeting of either or both shall be regarded as the presence of one member and shall constitute a joint waiver of notice of the meeting. (b) Upon the death of either spouse who is a party to the joint membership, such membership shall be held solely by the survivor; provided, however, that the estate of the deceased shall not be released from any debts due to the Cooperative. Section 4. Membership Fee. The membership fee shall be five dollars, upon the payment of which a member shall be eligible for one service connection. A service connection fee of five dollars may be charged for each additional service connection. The sum of fifty cents as an annual subscription price for the Cooperative’s newsletter shall be deducted from the amount accruing as a capita l credit to each member. Section 5. Purchase of Electric Energy. Each member shall, as soon as electric energy shall be available, purchase from the Cooperative all electric energy used on the premises specified in his application for membership, and shall pay therefore at rates which shall from time to time be fixed by the board. It is expressly understood that amounts paid for electric energy in excess of the cost of service are furnished by members as capital and each member shall be credited with the capital so furnished as provided in these bylaws. Each member shall pay to the Cooperative such minimum amount regardless of the amount of electric energy consumed, as shall be fixed by the board from time to time. Each member shall also pay all amounts owed by him to the Cooperative as and when the same shall become due and payable. (a) Any member may withdraw from the membership upon compliance with such uniform terms and conditions as the board of directors may prescribe. The board of directors of the Cooperative may, by the affirmative vote of not less than two-thirds of all the directors, expel any member who fails to comply with any of the provisions of the articles of incorporation, bylaws or rules or regulations adopted by the board of directors, but only if such member shall have been given written notice by the Cooperative that such failure makes him liable to expulsion and such failure shall have continued for at least ten days after such notice was given. The membership of a member who for a period of six (6) months after service is available to him, has not purchased electric energy from the Cooperative, or of a member who ceased to purchase energy from the Cooperative, shall be cancelled by resolution of the board of directors. (b) Upon the withdrawal, death, cessation of existence or expulsion of a member the membership of such member shall thereupon terminate. Termination of membership in any manner shall not release a member or his estate from any debts due the Cooperative. (c) In case of withdrawal or termination of membership in any manner, the Cooperative shall repay to the member the amount of the membership fee paid by him, provided, however, that the Cooperative shall deduct from the amount of the membership fee the amount of any debts or obligations owed by the member to the Cooperative. Section 1. Property Interest of Members. Upon dissolution, after (a) all debts and liabilities of the Cooperative shall have been paid, and (b) all capital furnished through patronage shall have been retired as provided in these bylaws, the remaining property and assets of the Cooperative shall be distributed among the members and former members in the proportion which the aggregate patronage of each bears to the total patronage of all members during the ten years next preceding the date of the filing of the certificate of dissolution, or, if the Cooperative shall not have been in existence for such period, during the period of its existence. Section 2. Non-liability for Debts of the Cooperative. The private property of the members shall be exempt from execution or other liability for the debts of the Cooperative and no member shall be liable or responsible for any debts or liabilities of the Cooperative. Section 1. Annual Meeting. 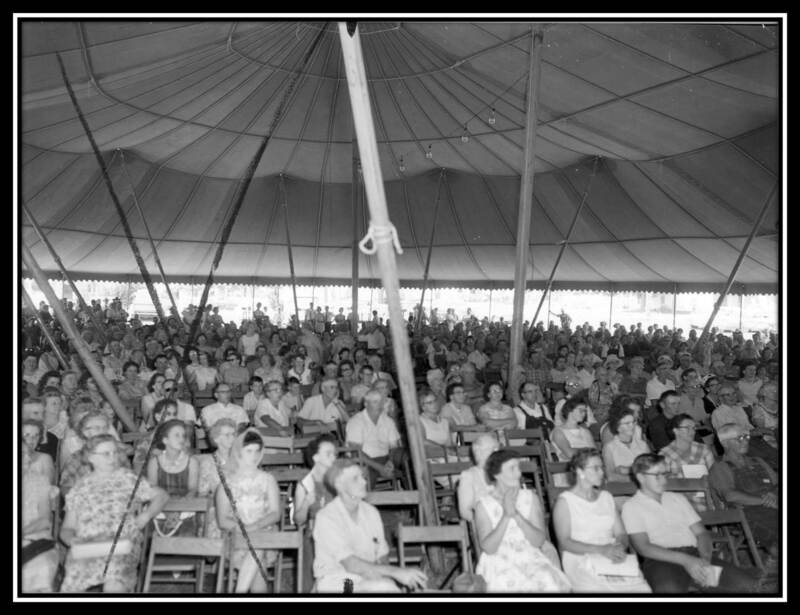 An Annual Meeting of the members shall be held at such time as shall be fixed by the Board of Directors of the Cooperative each year between the 1st day of July and the 1st day of November, beginning with the year of 1972, at such place within a county served by the Cooperative, as selected by the board and which shall be designated in the notice of the meeting, for the purpose of electing board members, passing upon reports for the previous fiscal year and transacting such other business as may come before the meeting. It shall be the responsibility of the board to make adequate plans and preparations for the annual meeting. Failure to hold the annual meeting at the designated time shall not work a forfeiture or dissolution of the Cooperative. Section 2. Special Meetings. Special meetings of the members may be called by resolution of the Board of Directors, or upon a written request signed by any three directors, by the President, or by ten per centum or more of all the members, and it shall thereupon be the duty of the Secretary to cause notice of such meeting to be given as hereinafter provided. Special meetings of the members may be held at any place within one of the counties served by the Cooperative as designated by the Board and shall be specified i n the notice of the special meeting. Section 3. Notice of Members’ Meetings. Written or printed notice stating the place, day and hour of the meeting and, in case of a special meeting, the purpose or purposes for which the meeting is called, shall be delivered not less than 10 days nor more than 25 days before the date of the meeting, either personally or by mail, by or at the direction of the Secretary, or by the persons calling the meeting, to each member. If mailed, such notice shall be deemed to be delivered when deposited in the United States mail, addressed to the member at his address as it appears on the records of the Cooperative, with postage thereon prepaid. The failure of any member to receive notice of an annual or special meeting shall not invalidate any action which may be taken by the members at any such meeting. Section 4. Quorum. As long as the total number of members does not exceed five hundred, ten per centum of the total number of members present in person shall constitute a quorum. In case the total number of members shall exceed five hundred, a quorum shall consist of such number of members present in person as required by State Statutes. If less than a quorum is present at any meeting, a majority of those present in person may adjourn the meeting from time to time without further notice. The minutes of each meeting shall contain a list of the members present in person. Section 5. Voting. Each member shall be entitled to only one vote upon each matter submitted to a vote at a meeting of the members. All questions shall be decided by a vote of a majority of the members voting thereon in person except as otherwise provided by law, the articles of incorporation or these bylaws. Voting by proxy shall not be allowed. Absentee voting shall be allowed for director elections if the member makes a request In person for a ballot. Absentee voting shall not be allowed for any other question. 1. Report as to the number of members present in person in order to determine the existence of a quorum. 4. Presentation and consideration of reports of officers. Section 1. General Powers. That until the annual meeting of members in 2001, the business and affairs of the Cooperative shall be managed by a board of nine (9) directors which shall exercise all of the powers of the Cooperative except such as are by law or by the articles of incorporation of the Cooperative or by these bylaws conferred upon or reserved to the members, and that effective the annual meeting of members in 2001, the business and affairs shall be managed by a board of eight (8) directors which shall exercise all of the powers of the Cooperative except such as are by law or by the articles of incorporation of the Cooperative or by these bylaws conferred upon or reserved to the members. Section 2. Election and Tenure of Office. All current directors shall continue to serve this Cooperative for their elected term. Beginning with the annual meeting of the Cooperative held in 2001, the directors of the Cooperative shall be divided into three (3) classes, one of which shall consist of two (2) directors (Class 1) and two of which shall consist of three (3) directors (Class 2 and Class 3). Each class shall serve for a term of three (3) years or until their successors shall have been elected and shall have qualified. Class 1 shall consist of one director from Area No. 1 and one director from Area No. 4. Class 1 directors shall be elected a t the annual meeting in 2001, and each three years thereafter. Class 2 shall consist of one director from Area No. 3, one director from Area No. 4 and one director from Area No. 5. Class 2 directors shall be elected at the annual meeting in 2002, and each three years thereafter. Class 3 shall consist of one director from Area No. 1, one director from Area No. 2 and one director from Area No. 5. Class 3 directors shall be elected at the annual meeting in 2003, and each three years thereafter. If an election of board members shall not be held on the day designated herein for the annual meeting, or at any adjournment thereof, a special meeting of the members shall be held for the purpose of electing board members within a reasonable time thereafter. Board members may be elected by a plurality vote of the members. Drawing by lot shall resolve any tie vote in any election of director. Voting shall be by ballot provided that when the number of nominees does not exceed the number of directors to be elected, balloting may be dispensed with and the voting may be conducted in any other proper manner. (c) is in any way employed by or financially interested in a competing enterprise to the Cooperative or any of its subsidiaries or affiliates, or employed by or financially interested in a business selling electric energy, or supplies or services, to the Cooperative or any of its subsidiaries or affiliates. 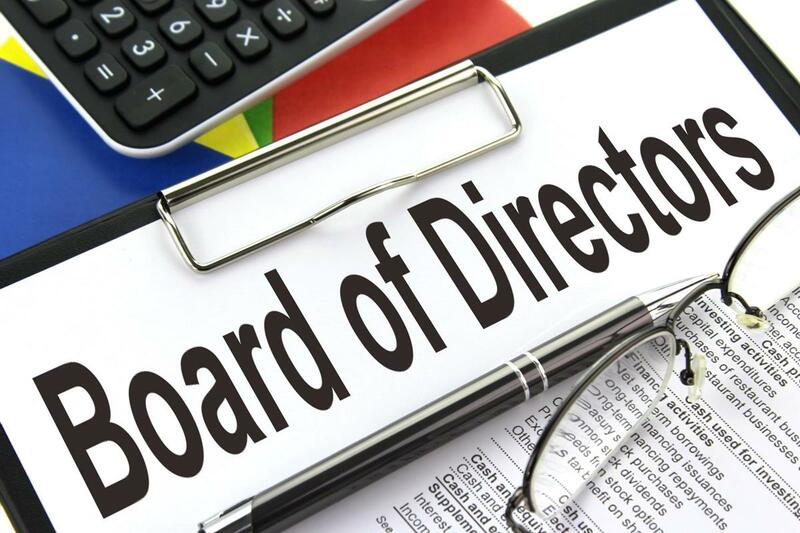 Upon establishment of the fact that a director is holding office in violation of any of the foregoing provisions, the board o f directors shall remove such director from office. Nothing contained in this section shall affect in any manner whatsoever the validity of any action taken at any meeting of the board of directors. Section 4. Nominations. Members of the nominating committee (and not the board of directors) for each year shall appoint the nominating committee, consisting of not less than five nor more than eleven members who shall be selected from different areas of the Cooperative so as to insure equitable representation, for the next year. Such appointment of the nominating committee for the next year shall be made not less than thirty days nor more than ninety days before the date of the next annual meeting of members where directors are to be elected. No member of the board of directors may serve on the nominating committee. The committee, keeping in mind the principal of equitable representation, shall prepare and post at the principal office of the Cooperative at least twenty days before the date of the annual meeting, a list of nominations for directors which, at the option of the committee, may include more than one nominee for each position that is to be elected. Any fifteen or more members acting together may make other nominations by petition no later than the close of business on the date which is twenty days before the annual meeting and the Secretary shall post such nominations at the same place where the list of nominations made by the committee is posted. No nominations will be accepted after the close of business on the date which is twenty days before the annual meeting. The Secretary shall be responsible for mailing with the notice of the meeting or separately, but at least ten days before the date of the meeting, a statement of the number of directors to be elected and the names and addresses of the candidates nominated by the committee on nominations as provided herein. Area No. 1—2 Directors as of annual meeting of members 2001 and thereafter. Area No. 1 shall consist of all that part of the Cooperative’s territory lying south of the line described as follows: Commencing at the Southeast corner of Gentry County on the intersection of the southline of Gentry County, Missouri with the west line of Daviess County, Missouri; thence north of the said Gentry County-Daviess County line to the East-West line between Harrison County and Daviess County; thence East along said Harrison County-Daviess County line to the west Grundy County line thence north of the Grundy county-Harrison County line to the Mercer county line; thence east along the East-West line between Mercer County and Grundy County to the Sullivan County line; thence south on the Grundy County-Sullivan County line to the southwest corner of Sullivan County, thence east on the Sullivan County-Linn County line to the eastern limit of the Cooperative’s territory. Area No. 2—1 Director. Area No. 2 shall consist of all that part of the Cooperative’s territory Iying east of a line described as follows: Commencing at the southwest corner of Sullivan County on the Sullivan County—Grundy County line; thence North along said Sullivan County—Grundy County line and a continuation thereof to the north boundary line of the State of Missouri. Area No. 3—1 Director. Area No. 3 shall consist of all that part of the Cooperative’s territory Iying within the State of Iowa. Area No. 4—2 Directors. Area No. 4 shall consist of all that part of the Cooperative’s territory Iying within the county boundary lines of Mercer County, Missouri. Area No. 5—2 Directors. Area No. 5 shall consist of all that part of the Cooperative’s territory Iying west of a line described as follows: Commencing at the northeast corner of Harrison County, Missouri, on the Harrison County—Mercer County line; thence south on the said Harrison County—Mercer County line and a continuation thereof to the southeast corner of Harrison County; thence west along the Harrison County—Daviess County line to the southwest corner of Harrison County; thence south on the Gentry County—Daviess County line to the southeast corner of Gentry County; thence west on the Gentry County—DeKalb County line to the western limit of the Cooperative’s territory. The nominations of directors, appointment of directors and election of directors shall be made in compliance with the provisions set forth herein. Section 5. Removal of Directors by Members. Any member may bring charges against a director and, by filing with the Secretary such charges in writing together with a petition signed by at least ten per centum of the members, or 300 whichever is lesser, may request the removal of such director by reason thereof. Such director shall be informed in writing of the charges at least ten days prior to the meeting of the members at which the charges are to be considered and shall have an opportunity at the meeting to be heard in person or by counsel and to present evidence in respect of the charges; and the person or persons bringing the charges against him shall have the same opportunity. The question of the removal of such director shall be considered and voted upon at the meeting of the members and any vacancy created by such removal may be filled by vote of the members at such meeting without compliance with the foregoing provisions with respect to nominations. Section 6. Vacancies. Subject to the provisions of these bylaws with respect to the removal of directors, vacancies occurring in the board of directors shall be filled by a majority vote of the remaining directors and directors thus elected shall serve until the next annual meeting of the members or until their successors shall have been elected and shall have qualified. Section 7. Compensation. Directors shall not receive any salary for their service as such, except that the board of directors may by resolution authorize a fixed sum for each day or portion thereof spent on Cooperative business, such as attendance at meetings, conferences, and training programs or performing committee assignments when authorized by the board. If authorized by the board, directors may also be reimbursed for expenses actually and necessarily incurred in carrying out such Cooperative business or granted a reasonable per diem allowance by the board in lieu of detailed accounting for some of these expenses. No director shall receive compensation for serving the Cooperative in any other capacity, nor shall any close relative of a director receive compensation for serving the Cooperative, unless the payment and amount of compensation shall be specifically authorized by a vote of the members or the service by the director or his close relative shall have been certified by the board as an emergency measure. Section 1. Regular Meetings. A regular meeting of the board of directors shall be held without notice other than these bylaws, immediately after, and at the same place as, the annual meeting of the members. A regular meeting of the board of directors s hall also be held monthly at such time and place within one of the counties served by the Cooperative, as the board of directors may provide by resolution. Such regular monthly meetings may be held without notice other than such resolution fixing the time and place thereof. Section 2. Special Meeting. Special meetings of the board may be called by the President or by any three board members, and it shall thereupon be the duty of the Secretary to cause notice of such meeting to be given as hereinafter provided. The President or board members calling the meeting shall fix the time and place for the holding of the meeting. Section 3. Notice of Directors’ Meeting. Written notice of the time, place and purpose of any special meeting of the board shall be delivered to each board member either personally or by mail, by or at the direction of the Secretary, or upon a default in duty by the Secretary, by the President or the board member calling the meeting. If mailed, such notice shall be deemed to be delivered when deposited in the United States mail addressed to the board member at his address as it appears on the records of the Cooperative, with postage thereon prepaid, at least five days before the date set for the meeting. Section 4. Quorum. A majority of the board shall constitute a quorum, provided, that if less than such majority of the board is present at said meeting, a majority of the board present may adjourn the meeting from time to time; and provided further, that the Secretary shall notify any absent board members of the time and place of such adjourned meeting. The act of a majority of the board members present at a meeting at which a quorum is present shall be the act of the board, except as otherwise provided in these bylaws. Section 1. Number. The officers of the Cooperative shall be a President, Vice-President, Secretary, Assistant Secretary, and Treasurer, and such other officers as may be determined by the board of directors from time to time. The offices of Secretary and of Treasurer may be held by the same person. Section 2. Election and Term of Office. The officers shall be elected, by ballot, annually by and from the board of directors at the first meeting of the board of directors held after each annual meeting of the members. If the election of officers shall not be held at such meeting, such election shall be held as soon thereafter as conveniently may be. Such officers shall hold office until the first meeting of the board of directors following the next succeeding annual meeting of the members or until his successor shall have been duly elected and shall have qualified, subject to the provisions of these bylaws with respect to the removal of officers. A vacancy in any office shall be filled by the board for the unexpired portion of the term. Section 3. Removal. Any officer or agent elected or appointed by the board of directors may be removed by the board of directors whenever in its judgment the best interests of the Cooperative will be served thereby. In addition, any member of the Cooperative may bring charges against an officer, and by filing with the Secretary such charges in writing together with a petition signed by ten per centum of the members, or 300 whichever is lesser, may request the removal of such officer. The officer against whom such charges have been brought shall be informed in writing of the charges at least ten days prior to the board meeting at which the charges are to be considered and shall have an opportunity at the meeting to be heard in person or by counsel and to present evidence in respect of the charges; and the person or persons bringing the charges against him shall have the same opportunity. In the event the board does not remove such officer, the question of his removal shall be considered and voted upon at the next meeting of the members. Section 5. Vice-President. In the absence of the President, or in the event of his inability or refusal to act, the Vice President shall perform the duties of the President, and when so acting, shall have all the powers of and be subject to all the restrictions upon the President and shall perform such other duties as from time to time may be assigned to him by the board of directors. Section 6a. Assistant Secretary. In the absence of the Secretary or in the event of his or her inability or refusal to act, the Assistant Secretary, shall perform the duties of the Secretary, and when so acting, shall have all responsibilities and shall have all the powers of and be subject to all of the restrictions upon the Secretary. The Assistant Secretary shall also perform such other duties as from time to time may be assigned him by the board of directors. (c) the general performance of all the duties incident to the office of Treasurer and such other duties as from time to time may be assigned to him by the board. Section 8. Manager. The board of directors may appoint a manager who may be, but who shall not be required to be, a member of the Cooperative. The manager shall perform such duties as the board of directors may from time to time require of him and shall have such authority as the board of directors may from time to time vest in him. Section 9. Bonds of Officers. The Treasurer and any other officer or agent of the Cooperative charged with responsibility for the custody of any of its funds or property shall be bonded in such sum and with such surety as the board of directors shall determine. The board of directors in its discretion may also require any other officer, agent or employee of the Cooperative to be bonded in such amount and with such surety as it shall determine. Section 10. Compensation. The compensation, if any, of any officer, agent or employee who is also a director or close relative of a director, shall be determined by the members, as provided elsewhere in these bylaws, and the powers, duties and compensation of any other officer, agents or employees shall be fixed by the board of directors. Section 11. Reports. The officers of the Cooperative shall submit at each annual meeting of the members reports covering the business of the Cooperative for the previous fiscal year, and showing the condition of the Cooperative at the close of such fiscal year. Section 2. Patronage Capital in Connection with Furnishing Electric Energy. In the furnishing of electric energy the Cooperative’s operations shall be so conducted that all patrons, members and non-members alike, will through their patronage furnish capital for the Cooperative. In order to induce patronage and to assure that the Cooperative will operate on a non-profit basis the Cooperative is obligated to account on a patronage basis to all its patrons, members and non-members alike, for all amounts received and receivable from the furnishing of electric energy in excess of operating costs and expenses properly chargeable against the furnishing of electric energy. All such amounts in excess of operating costs and expenses at the moment of receipt by the Cooperative are received with the understanding that they are furnished by the patrons, members and non-members alike, as capital. The Cooperative is obligated to pay by credits to a capital account for each patron all such amounts in excess of operating costs and expenses. The book s and records of the Cooperative shall be set up and kept in such a manner that at the end of each fiscal year the amount of capital, if any, so furnished by each patron is clearly reflected and credited in an appropriate record to the capital account of each patron, and the Cooperative shall within a reasonable time after the close of the fiscal year notify each patron of the amount of capital so credited to his account. All such amounts credited to the capital account of any patron shall have the same status as though they had been paid to the patron in cash in pursuance of a legal obligation to do so and the patron had then furnished the Cooperative corresponding amounts for capital. In the event of dissolution or liquidation of the Cooperative, after all outstanding indebtedness of the Cooperative shall have been paid, outstanding capital credits shall be retired without priority on a pro rata basis before any payments are made on account of property rights of members. If, at any time prior to dissolution or liquidation, the board of directors shall determine that the financial condition of the Cooperative will not be impaired thereby, the capital then credited to patrons’ accounts may be retired in full or in part. After September 19, 1984, the Board of Directors shall determine the method basis, priority, and order of retirement, if any, for all amounts heretofore and hereafter furnished as capital. Capital credited to the account of each patron shall be assignable only on the books of the Cooperative, and then only after the same has been approved by the Board of Directors. In the event that a non-member patron shall elect to become a member of the Cooperative the capital credited to the account of such non-member patron may be applied by the Cooperative toward the payment of a membership fee on behalf of such non-member patron. Notwithstanding any other provision of these bylaws, the board at its discretion, shall have the power at any time upon the death of any patron, if the legal representatives of his estate shall request in writing that the capital credited to any such patron be retired prior to the time such capital would otherwise be retired under the provisions of these bylaws, to retire capital credited to any such patron immediately upon such terms and conditions as the board, acting under policies of general application, and the legal representatives of such patron’s estate shall agree upon; provided, however, that the financial condition of the Cooperative will not be impaired thereby. The patrons of the Cooperative, by dealing with the Cooperative, acknowledge that the terms and provisions of the articles of incorporation and bylaws shall constitute and be a contract between the Cooperative and each patron, and both the Cooperative and the patrons are bound by such contract, as fully as though each patron had individually signed a separate instrument containing such terms and provisions. Section 3. Losses. In the event that the Cooperative suffers a loss during any year, the Board of Directors shall prescribe the basis on which the capital contributions of patrons shall be reduced on account of any such loss, so that it will be borne by the patrons on as equitable a basis as the Board of Directors finds practicable. Section 4. Unclaimed Money. Notwithstanding any provisions herein contained to the contrary, any member, former member or other customer who fails to claim any capital credits, patronage refunds, utility deposits, membership fees, or account balances within two (2) years after payment thereof has been made available to such person shall have made an irrevocable assignment and gift to the Cooperative of such unclaimed money. Upon expiration of at least two (2) years after availability of such money, the Cooperative shall use reasonable and necessary diligence as is consistent with good business practice to notify the owner(s) of the approximate amount of unclaimed money and type of owner(s) interest, and that if not duly claimed within sixty (60) days of said notice, the unclaimed money shall be deemed assigned and donated to the Cooperative. If no provable claim shall have been filed within sixty (60) days after the publication of said notice, the Cooperative shall, after offsetting any outstanding amounts due and owing the Cooperative from said member, former member or customer, thereafter treat the net unclaimed amount as donated capital of the Cooperative, includable in the fiscal year in which the sixtieth day after published notice falls. After first treating the unclaimed money of any member, former member or customer as donated capital, any future unclaimed money of that member, former member or customer shall be treated as donated capital without notice. The cooperative may not sell, lease or otherwise dispose of, except by mortgage, or deeds of trust, all or any substantial portion of its property unless such sale, lease, or disposition is authorized at a duly held meeting of the members thereof by the affirmative vote of not less than two-thirds of all of the members of the Cooperative, and unless the notice of such proposed sale, lease or other disposition shall have been contained in the notice of the meeting. Notwithstanding any other provisions of law, the board of directors of the Cooperative, without authorization by the members thereof, shall have full power and authority to authorize the execution and delivery of a mortgage or mortgages or a deed or deeds of trust upon, or the pledging or encumbering of, any or all of the property, assets, rights, privileges, licenses, franchises and permit s of the Cooperative, whether acquired or to be acquired, and whether situated, as well as the revenues and income therefrom, all upon such terms and conditions as the board of directors shall determine, to secure any indebtedness of the Cooperative to the United States of America or instrumentality or agency thereof, or to any bank or other financial institution or organization; provided, further that the board may upon the authorization of a majority of those members of the Cooperative present at a meeting of the members thereof, sell, lease, or otherwise dispose of all or a substantial portion of its property to another cooperative or foreign corporation doing business in this State pursuant to the Act under which this Cooperative is incorporated. The board of directors may, upon the affirmative vote of a majority of the members of the cooperative present at the meeting and voting on the issue, transfer, convey, or otherwise dispose of all or a substantial portion of its property to another rural electric cooperative to complete or effect a consolidation or merger of two or more cooperatives. The following amendment to the bylaws was passed at Annual Meeting 9/14/95. The paragraph and subparagraphs were added to the end of Article VIII. In addition to the foregoing provisions in this Article and any other applicable provisions of law of these bylaws, no sale, lease, exchange, transfer or other disposition of all or any substantial portion of the Cooperative’s property shall be authorized except in conformity with the following. (1) If the Board of Directors of the Cooperative believes there may be sufficient benefit from any proposal from another party for such sale, lease, exchange, transfer or other disposition of the Cooperative’s property, the Board of Directors shall first cause three (3) independent, nonaffiliated appraisers, experts in such matters, to render their individual opinions as to the value of the property with respect to such a sale, lease, exchange, transfer or other disposition and as to any other terms and conditions which should be considered. The three (3) appraisers shall be designated by the Board of Directors, or within their discretion, by the Presiding Judge of the Circuit Court of Grundy County, Missouri. If such judge refuses to make such designations, they shall be made by the Board of Directors. (2) If the Board of Directors, after receiving such appraisals (and other terms and conditions which are submitted, if any), determines that the proposal should be submitted for consideration by the members, it may, within the discretion of the Board, first give other rural electric cooperatives an opportunity to submit competing proposals, subject to the priority of an existing Right of First Refusal Contract between the Cooperative and its power supplier, N.W. Electric Power Cooperative, Inc. Such opportunity may be in the form of a written notice to such rural electric cooperatives, which notice may be attached to a copy of the proposal which the Cooperative has already received and copies of the respective reports of the three (3) appraisers. Such rural electric cooperative shall be given not less than thirty (30) days during which to submit competing proposals, and the actual minimum period within which proposals are to be submitted shall be stated in the written notice given to them. (3) If the Board of Directors then determines that favorable consideration should be given to the initial or any subsequent proposal which has been submitted to it, it shall so notify the members not less than sixty (60) days before the date of any special meeting of the members thereon or, if such be the case, the next annual members meeting, expressing in detail each of any such proposals, an d may call a special meeting of the members for consideration and action on such proposals, which meeting shall be held not less than ten (10) days nor more than twenty-five (25) days after the giving of notice thereof to the members, PROVIDED, that consideration and action by the members may be given at the next annual members meeting if the Board so determines and if such annual meeting is held not less than ten (10) days nor more than twenty-five (25) days after the giving of notice of such meeting. (4) Any fifty (50) or more members, by so petitioning the Board not less than thirty (30) days prior to the date of such special or annual meeting, may cause the Cooperative, with the cost to be borne by the Cooperative, to mail to all members any opposing or alternative positions which they may have to the proposals that have been submitted or any recommendations that the Board has made. The corporate seal of the Cooperative shall have inscribed thereon the name of the Cooperative and the words “Corporate Seal Missouri”. Section 1. Contracts. Except as otherwise provided in these bylaws, the board may authorize any officer or officers, agent or agents to enter into any contract or execute and deliver any instrument in the name and on behalf of the Cooperative, and such authority may be general or confined to specific instances. Section 2. Checks, Drafts, Etc. All checks, drafts or other orders for payment of money, and all notes, bonds or other evidences of indebtedness issued in the name of the Cooperative shall be signed and/or counter-signed by such officer or officers, agents or agents, employee or employees of the Cooperative and in such manner as shall from time to time be determined by resolution of the board. Section 4. Change in Rates. Written notice of any proposed change in the rates charged by the Cooperative shall be given to the Administrator of the Rural Utilities Services of the United States of America if required by and in accordance with the terms and conditions of the Cooperative’s mortgage agreement with RUS. Section 1. Membership in Other Organizations. Upon authorization of the Board of Directors, the Cooperative may purchase stock in any corporation or become a member of any organization as follows: (1) that is organized for the purpose of providing any type of necessary or beneficial goods and services such as but not limited to energy, fuel, water and sewer services; or (2) that is organized on a non-profit basis for the purpose of engaging in or furthering the cause of rural electrification, or with the approval of the administrator of the Rural Utilities Services, of any other corporation for the purpose of acquiring electric facilities; provided, however, that except for the corporation or organizations described above, the Cooperative shall not become a member of or purchase stock in any other organization without an affirmative vote of the members at a duly held meeting, the notice of which shall specify that action is to be taken upon such proposed membership or stock purchase. Section 2. Waiver of Notice. Any member or board member may waive in writing any notice of a meeting required to be given by these bylaws. The attendance of a member or board member at any meeting shall constitute a waiver of notice of such meeting by such member or board member, except in case of member or board member shall attend a meeting for the express purpose of objecting to the transaction of any business on the ground that the meeting has not been lawfully called or convened. Section 3. Policies, Rules and Regulations. The board shall have power to make and adopt such policies rules and regulations, not inconsistent with law, the articles of incorporation or these bylaws, as it may deem advisable for the management of the business and affairs of the Cooperative. Section 4. Accounting Systems and Reports. The Board shall cause to be established and maintained a complete accounting system which, among other things, and subject to applicable laws and rules and regulations of any regulatory body, shall conform to such accounting system as may from time to time be designated by the Administrator of the Rural Utilities Services of the United States of America. The Board shall also after the close of each fiscal year cause to be made by a certified public accountant a full and complete audit of the accounts, books and financial condition of the Cooperative as of the end of such fiscal year. A report of such audit shall be submitted to the members at the next annual meeting. Section 5. Area Coverage. The board shall make diligent effort to see that electric service is extended to all unserved persons within the Cooperative service area who (a) desire such service and (b) meet all reasonable requirements established by the Cooperative as a condition of such service. Section 6. Indemnification of Directors, Officers and Employees. The Cooperative shall indemnify to the full extent permitted by law, including all costs, expenses and liabilities incurred, any person made or threatened to be made a party to an action suit or proceeding (whether civil, criminal administrative or investigative) by reason of the fact that he, his testator or intestate is or was a director, officer or employee of the Cooperative or serves or served any other enterprise at the request of the Cooperative. Section 7. Amendments. These bylaws may be altered, amended or repealed by the members at any regular or special meeting, provided the notice of such meeting shall have contained a copy of the proposed alteration, amendment or repeal. APPROVED: At the annual meeting of members on August 3, 1971. 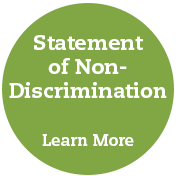 If you wish to file a Civil Rights program complaint of discrimination, complete the USDA Program Discrimination Complaint Form AD-3027, found online at http://www.ascr.usda.gov/complaint_filing_cust.html, or at any USDA office, or write a letter addressed to USDA and provide in the information requested in the form. 1400 Independence Avenue, S. W.
Grundy Electric is an equal opportunity provider and employer. 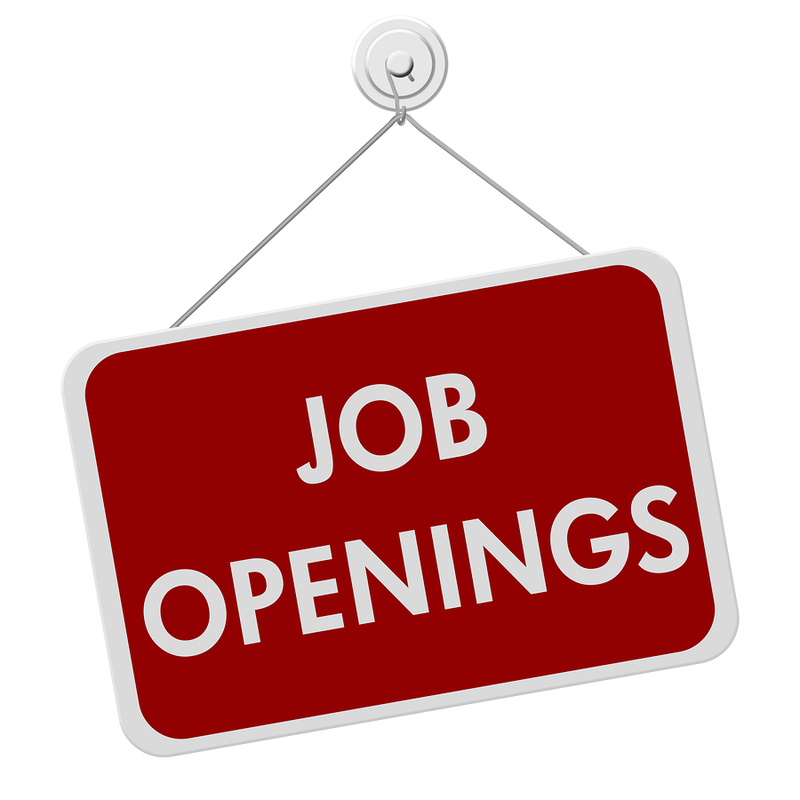 Currently we have no job openings available.